Iloilo Bloggers Inc. is also a sponsor of this event. 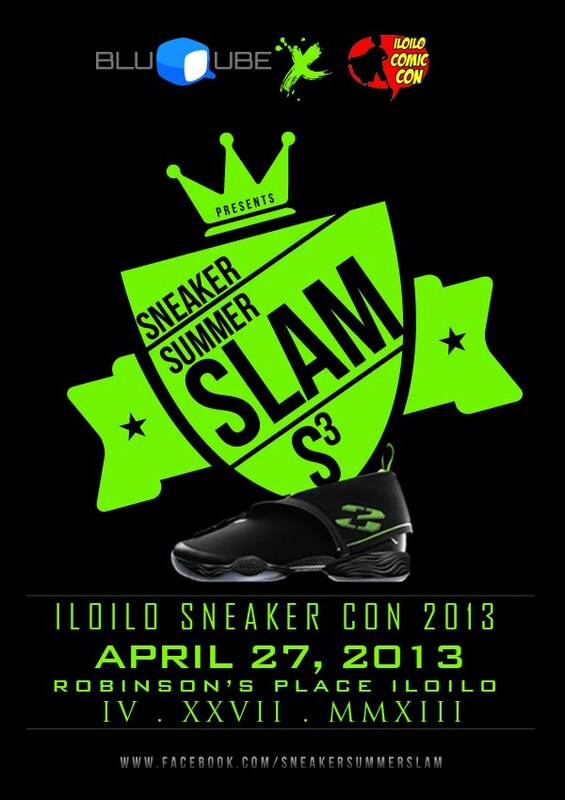 The first of its kind in Iloilo – the Sneaker Summer Slam will be held on April 27,2013 at Robinson’s Place, Iloilo. Sneakers have always been a part of people’s lives. Most people believe it though to just be something we could wear while playing sports or exercising, or while going to work; what they do not understand is sneakers mean something more to a lot of other people. Sneakers have always been a fascination for a lot of people, even before basketball became intensely popular. However, after Michael Jordan came into the picture, the awareness of this particular culture became even more widely known. Today, brands have come up with different rare designs that leave “sneakerheads” raving and wanting… Every so often, a new edition comes out, and thus, the sneaker hunting begins. As the athletic industry contributed to the popularization of this sub-culture, so did the hip-hop culture. The 2005 statistics showed that the use of sneakers for athletics was only at 20%, while the use for lifestyle and fashion was at a striking 80%. Currently, the worldwide craze for sneakers has risen, allowing “sneakerheads” to travel, sneaker hunt, and collect various limited editions of these shoes. As someone once said, “Exclusivity is the name of the game,” and we here at BluQube Inc. think that to be very true. Therefore, we started planning out how to promote “street culture” to our precious hometown. And so, after the success of last year’s Cosplay and Comic Convention in the city, we decided to partner up with the Iloilo Comic Con society to bring this dream to life… And we christened it with the title, the Sneaker Summer Slam! For the event itself, we have organized several activities in line with the culture, to entertain the attendees. 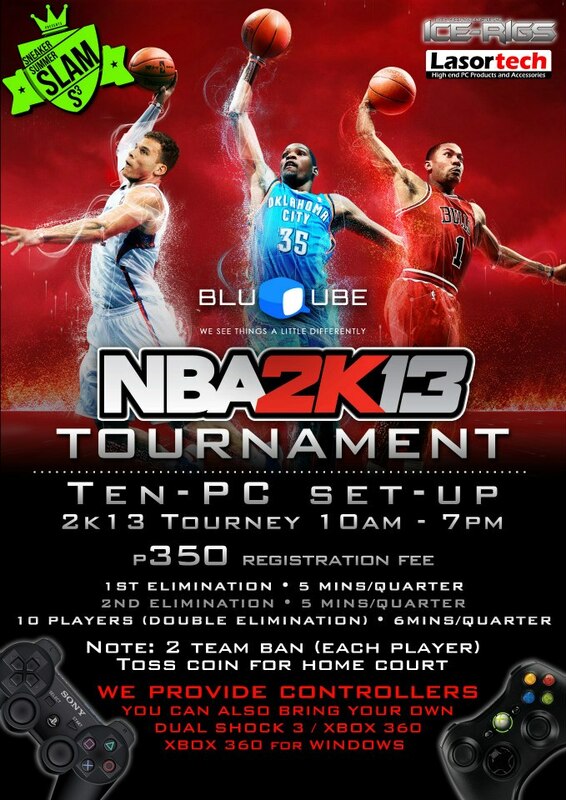 The NBA 2K13 Tournament, the Crossover Competition, the Slam Dunk, and the Design-a-Sneaker Contests, have been prepared to appease the sports enthusiasts among our guests. Apart from these games, we have also organized a fashion show of the UP Modus Society, to walk down the ramp wearing our collectible sneakers, to the beats of DJs Jason and Kreng. Aside from these fun activities, we also have several guests from Manila to speak about the sneaker culture they have come to know and love, and how they live their day-to-day lives with said culture. As our event is drawing nearer, we would like to invite all of you to experience first-handedly, the captivation and the fascination of the culture that is sneakers! 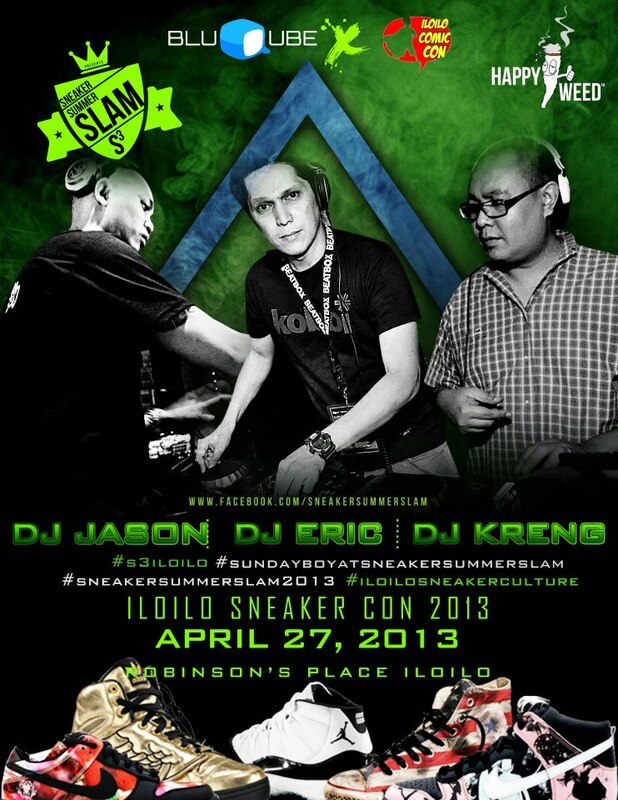 The Sneaker Summer Slam is to be held at the fountain area of the Robinsons Place –Iloilo on April 27th, from 10 in the morning up until 7 in the evening. Bring your game on!